A federal judge in Chicago granted a request by prosecutors to keep secret some of the evidence in the case against former U.S. House Speaker Dennis Hastert, NBC News reported. Federal prosecutors filed a motion Friday asking U.S. District Court Judge Thomas Durkin to bar Hastert's lawyers from disclosing any discovery the U.S. Attorney's Office provides them to anyone not involved in the case. Durkin — who is staying on the case even though he once donated money to Hastert's campaign fund — agreed Monday to seal some of the evidence in Hastert’s alleged hush-money case, which could include the identity of Hastert's alleged victim. Hastert is accused of agreeing to pay $3.5 million to someone described in an indictment as "Individual A" to keep past misconduct secret. The 73-year-old former teacher and coach pleaded not guilty to charges of violating banking laws and lying to the FBI. An NBC News source said the payments were intended to conceal claims of sexual misconduct from decades ago. Durkin scheduled a hearing for Thursday morning. 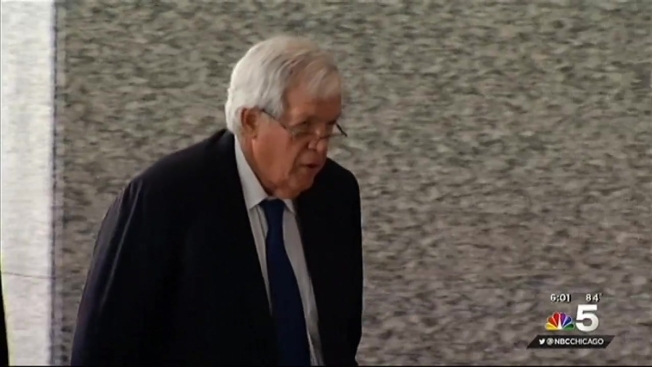 Hastert, who is free on a $4,500 unsecured bond, is not required to attend.